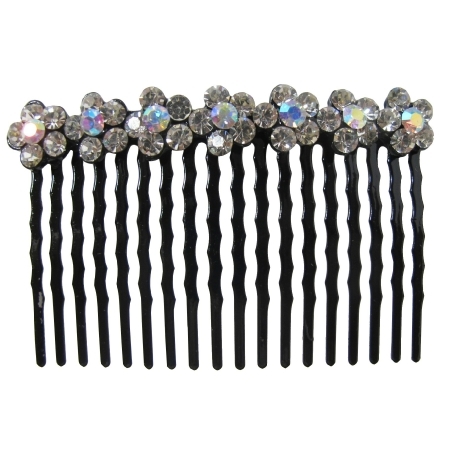 Beautiful Comb Hair Baratte arranged in clear crystals flowers. These Crystals are perfect for brides and/or bridesmaidr hairstyle with the latest craze in hair jewelry or it may add amount of charm to your hair! .